This book represents the papers presented at the 8th International Symposium on Molecular Plant Microbe Interactions in Knoxville, Tennessee in July 1966. 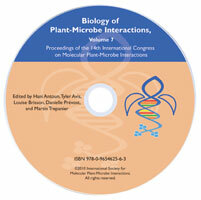 This is the inaugural book in the series and represents the papers presented at the 8th International Symposium on Molecular Plant Microbe Interactions in Knoxville, Tennessee, USA in July 1996. More than 900 scientists from over 30 countries participated. A comparison of methods for the determination of the oxidative burst in whole plants. Signal perception and intracellular signal transduction in plant pathogen defense. Arabidopsis thaliana enhanced disease susceptibility (eds) mutants. The N gene of tabacco confers resistance to tobacco mosaic virus in transgenic tomato. Signal perception and transduction in the activation of plant defense by ß-glucan elicitors. Perception of oligochitin (N-acetylchitooligosaccharide) elicitor signal in rice. NIP1, a bifunctional signal molecule from the barley pathogen, Rhynchosporium secalis. Biochemical characterization of nod factor binding sites in Medicago roots and cell suspension cultures. Do legume vegetative tissue lectins play roles in plant-microbial interactions? Agrobacterium and plant genes affecting T-DNA transfer and integration. Transfer and integration of Agrobacterium tumefaciens T-DNA in the Saccharomyces cerevisiae genome. Homoserine lactone-mediated microbial signaling: a communication system common to plant-associated bacteria. Molecular analysis of protein secretion systems involved in Erwinia carotovora virulence. Regulation of hrpNEcc and genes for other exoproteins in soft-rotting Erwinia carotovora by RsmA, a putative RNA-binding protein. Genes and proteins involved in aggressiveness and avirulence of Xanthomonas oryzae pv. oryzae to rice. Role of nuclear localizing signal sequences in three disease phenotypes determined by the Xanthomonas avr/pth gene family. Interactive roles of viral proteins,viral RNA, and host factors in bromovirus RNA replication. Involvement of rice dwarf virus S6 in symptom severity and insect transmission. Signal peptidases of Bradyrhizobium japonicum as new symbiosis- specific proteins. Rhizobium etli lipopolysaccharide alterations triggered by host exudate compounds. Symbiotic suppression of the Medicago sativa defense system-The key of Rhizobium meliloti to enter the host plant? Nicotiana tabacum SR1 contains two ENOD40 homologs. Sugar signals and legume lectins. Biocontrol: Genetic modifications for enhanced antifungal activity. Zwittermicin A and biological control of oomycete pathogens. Evolution of Epichloë species symbioses with grasses. 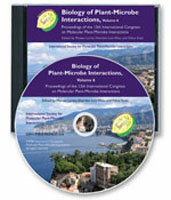 Emerging model legume systems: Tools and recent advances.